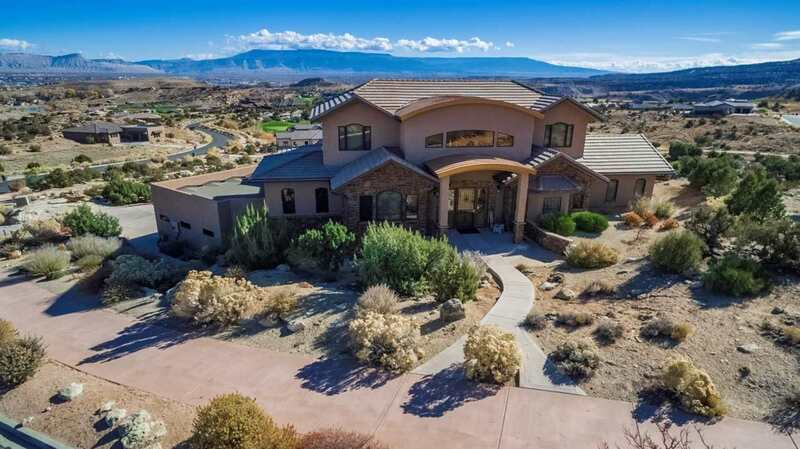 This is a beautiful home with 360 degree views of the Grand Mesa and Colorado National Monument surrounded by the Redlands Mesa Golf Course. Your will be impressed from the moment you walk into the grand entry way with 2 sided fireplace opening into the huge living area with amazing views. Large master suite with a huge walk in closet on main level, open kitchen with nice breakfast area overlooking #2 fairway, formal dining room, family room, 2 office areas, elevator from lower level and much more.